← How to boost your satisfaction at work ! How often are you asking (yourself or others) this question: “Why is what I (you) do important to me (you)?” Really? Don’t we sometimes go in autopilot mode and do things without really checking within us why things are important, why they matter. For one, checking could help us stop doing things which does not serve us any longer. And being more aware about why we are doing what we are doing can also re-energize us as to why we are doing those things. A renewed sense of purpose, if you will. I have found that when repeated a few times throughout a coaching session, that simple question (“Why is it important to you?”) will help the person to get to her core values. And as a result, create a renewed and sustained engagement. I briefly touched about that in my post “4 Tips to Auto-Coaching” . But when it comes to create engagement at work (our own, or that of our teams), the question of “Why” is critical. Take a manager who does annual reviews with each of his team members. If for instance his team has not changed much in the recent years, he may very well let some form of routine settled in. And the review can quickly turn into a disaster. He is not listening, he is not fully present, he lets old filters and preconceived views block a fresh perspective on what is now important for his team member to grow. Instead, he could just ask himself “Why is that review important? For him? For me, as his manager?” That simple question may put him in a complete different mindset : he decides to fully use the review as an opportunity to create engagement, rebuild alignment, help the individual to grow, provide feedback that really serves the person, communicate from the heart. – Very few companies know “Why” they do what they do. 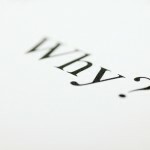 The “Why” is about their purpose, cause, and their belief, in other words, why does an organization exist in the first place? 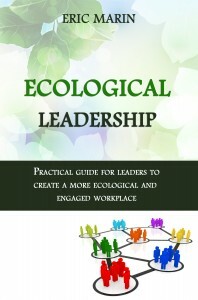 – All great leaders and inspired organizations plans and acts from the inside out, from “Why” over “How” to “What”. – People don’t buy “What” you do; they buy “Why” you do it. “What” you do simply reflects what you want to embody. – And the goal is not to make business with people who need “What” you have; the goal is to make business with people who believe in what you believe. He further illustrates his point looking at how Apple is able to sell the “Why” to their customers. Similarly, for any teams (and even individuals), as discussed in the cathedral story here, it is so critical to start with the “Why”. 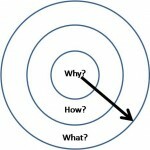 The “Why” will create engagement, momentum, alignment and … results. What about you? Do you ask the question “Why is that important to me/you” ? To yourself? To others?